The government doesn’t bother to impose requirements on hundreds of contaminants. Instead, health guidelines are issued by states and the federal government, but these are mere suggestions and goals. Amazingly, the guidelines are not enforceable by law. However, there is zero tolerance for the presence of any cancer-causing contaminant. I went to the database and put in every zip code I’ve ever lived in – you can test your water here – and each one tested positive for higher-than-acceptable levels of at least 3 carcinogens, including chloroform. Yummy. The EWG found that tens of thousands of water utilities contain levels of cancer-causing contaminants. What’s more, every single zip code the group looked at turned up some form of contamination. Cook noted that even if the contaminants in a water system fall below federal guidelines, that doesn’t mean the water is safe. This is because it has been 20 years since the U.S. Environmental Protection Agency (EPA) added a new contaminant to its list of regulated contaminants. Since more than half of the contaminants found in U.S. tap water had no regulatory limit at all, the substances can be legally present even in high concentrations, and utilities must neither test for them nor inform residents about their presence. “One of the challenges for us was to first, get across the message that ‘legal’ isn’t safe. 93 linked to an increased risk of cancer. The presence of known or likely carcinogens exceeding established federal or state health guidelines were found in more than 4,000 water systems. The contaminants pose minimal but important health risks, but levels found in tap water are not legally enforceable. 78 associated with brain and nervous system damage. 64 linked to developmental problems in children or fetuses. 45 tied to hormone disruption. 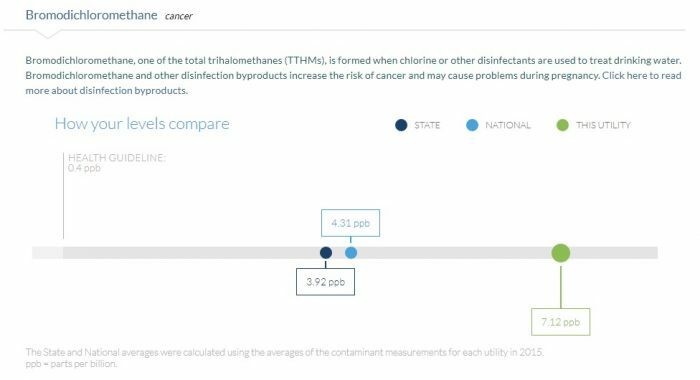 1,4-Dioxane, an unregulated compound detected in tap water that supplies 8.5 million people in 27 states at levels above those the EPA considers to pose a minimal cancer risk. Nitrate was detected in more than 1,800 water systems in 2015, serving 7 million people in 48 states above the level that research by the National Cancer Institute shows increases the risk of cancer – a level just half of the federal government’s legal limit for nitrate in drinking water. Nitrate is common in rural communities, where the chemical comes from animal waste and agricultural fertilizers. 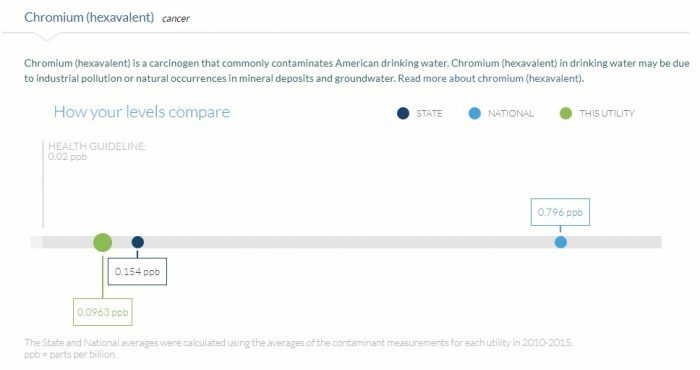 If you want to know what contaminants are in your tap water, the EWG published the database online. Input your zip code and find out why everyone should have a water filtration system. And then they deliberately add fluoride to water, under the guise of public health.